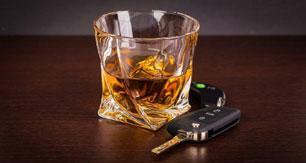 Contact a New Hampshire DWI Attorney or NH DUI Lawyer Now! Submits to a blood alcohol test which discloses an alcohol concentration of .08% BAC or higher; in the case of persons under the age of 21, .02% BAC or higher. or test over the legal limit. The person may request in writing within 30 days either an administrative review or hearing. The hearing shall be held within 20 days after the filing of the request, unless a continuance is requested by the person. A continuance does not stay the order of suspension or revocation. Hearings are limited in scope. The hearings officer shall issue his ruling, in writing, within 15 days of the hearing date. When a license or driving privilege has been suspended under ALS, and the person is also convicted of criminal charges (such as DWI) arising out of the same event, both the suspension and the court ordered revocation shall be imposed, but the total period of suspension and revocation shall not exceed the longer of the two periods; provided, however, that any suspension for refusing to submit to a test under the provision of RSA 265:92 shall not run concurrently with any other penalty imposed. Fine: Not less than $350 and not more than $1,000. License revocation: 90 days (minimum), up to 2 years. For any offender with a prior conviction(s), in this or any other state, within 7 years preceding the date of the second or subsequent offense, the revocation shall be for not less than 180 days nor more than 3 years. (RSA 265:82-b). Immediately following a conviction for any offense under RSA 265:82, the DMV shall examine the offender's motor vehicle record for a prior DWI conviction (under RSA 265:85 or within RSA 265:82-a) over the preceding seven years. If a prior conviction exits, the license or privilege to drive shall not be restored until the offender has successfully completed a seven-day residential Phase II Impaired Driver Intervention Program. [RSA 265:82-bVI (a) and (b)]. Classified as a misdemeanor (except for provisions listed below*). Fine: not less than $500 or more than $1,000 (except for provisions listed below*). License revocation: 1 year mandatory, or for a period not to exceed 2 years. speed 30 mph over posted limit. involvement in an accident resulting in serious bodily injury. attempting to elude an officer by increasing speed, diminishing headlights, or attempting to leave the scene of an accident. 2nd offense is for a second DWI arrest within a seven year period; out-of-state convictions DO count. Fine: not less than $500, and not more than $1,000. License revocation: 3 years (mandatory). Jail sentence: Mandatory sentence of not less than 10 consecutive days, of which 3 consecutive 24-hour periods shall be served in the County House of Corrections and 7 consecutive 24-hour periods shall be served at the state-operated multiple offender intervention detention center program within 21 days after conviction, or at the end of the defendant's appeal period. In such circumstances where the MOP has no available space, the offender shall be assigned the first available space. Must pay $950 to the Director of NH Bureau of Substance Abuse Services for MOP costs. Imprisonment for not less than 30 consecutive 24-hour periods. 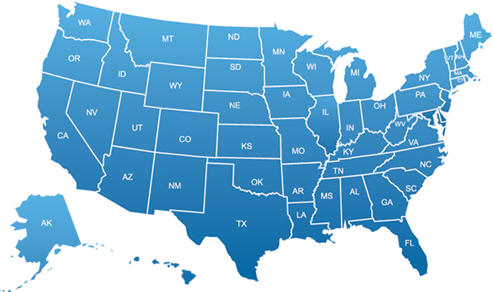 Complete a 28-day treatment program at the defendant's expense (only necessary for license restoration). .05% BAC or less is prima facie evidence of not Driving While Intoxicated. .05% to .08% BAC is considered relevant evidence against you in a DWI charge. .08% BAC or higher is prima facie evidence of Driving While Intoxicated. For persons under age 21 - .02% is prima facie evidence of DWI. The introduction of any other competent evidence is not limited in considering the question of whether an offender charged with DWI or Aggravated DWI was under the influence of intoxicating liquor or any controlled drug. Any vehicle registered to an individual whose license is being revoked or suspended for a subsequent offense of driving under the influence of intoxicating liquor or any controlled drug, or for aggravated DWI, habitual offender, conviction of negligent homicide involving the use of a motor vehicle, or manslaughter involving the use of a motor vehicle, shall be revoked for the period of revocation or suspension of the license or privilege to drive. Habitual offender is so designated if convicted of 3 or more DWI offenses (or 1 or more DWI offenses in combination with other motor vehicle offenses for a total of 3) within a five year period. Action is taken by the Motor Vehicle Division. License revocation: additional one year revocation. Jail sentence: 7 consecutive 24-hour periods (must be served within 6 months). Prison Sentence: minimum 1 year, up to 5 years. Upon accepting your NH driver's license, you are deemed to have given consent to take a physical or chemical test if you should ever be arrested for DWI. At the time of actual arrest, you may revoke that consent and refuse to take any tests. License revocation: 6 months; revoked administratively by DMV, in addition to that given by the court and may not run concurrently with any other penalty imposed by the court. Second refusal or refusal with a prior DWI conviction will result in loss of license administratively for 2 years, in addition to that given by the court. Fine: $500 - first refusal; $1,000 - second refusal. A person 15-18 years old on date of incident: if convicted for any offense involving the sale, possession, use, or abuse of alcohol or of controlled drugs or any controlled drug analog, the court may revoke or deny a driver's license for 90 days (minimum) to 1 year (maximum), or 6 months to 2 years on a subsequent conviction. A person 18 years or older on date of incident: if convicted of possession with intent to sell controlled drugs or controlled drug analogs, driver's license or privilege to operate may be revoked, at the discretion of the court for any period of time, including for life. Any offender 21 years or older who knowingly loans his driver's license to an underage offender (the legal age of 21) for use as identification to purchase or consume any liquor/beverage, shall have his/her license or privilege to drive administratively suspended for 60 days by DMV. All provisions relating to operation of a motor vehicle under the influence of alcohol or drugs, while intoxicated under RSA 265:82 or 265:82-a apply to anyone operating an OHRV while under the influence or intoxicated; other similar provisions include implied consent, evidence, administration of BAC tests, payment of obligations, and requirements for successful completion of an Impaired Driver Intervention Program. Any offender having been convicted of any first offense violation of RSA 215-A: II, RSA 265:82, or RSA 265:82-a, any subsequent conviction under any of these sections shall constitute a second offense for the purposes of imposing penalties for second offense violation under RSA 265:82-b. All convictions under these sections are reported to DMV and become a part of driving record of the offender convicted. [RSA 265:82-b(VII)]. Any offender convicted of RSA 215-A II, RSA 265:82, or RSA 265:82-a violations, and who at the time of driving a vehicle or OHRV was transporting a person under the age of 16 shall have his/her driver's license or privilege to drive revoked for the maximum time period under the section violated and shall be sentenced to not less than 1, or more than 30 days. Any offender convicted of operating or attempting to operate a boat while under the influence of intoxicating liquor or controlled drug shall not operate a boat on waters of this state for 1 year, whether or not the conviction is appealed. Any offender convicted of BWI, who was transporting a person under the age of 16 at the time of the violation, must attend a seven-day residential Impaired Driver Intervention Program. Any conviction under this section shall be reported to the DMV and shall become part of the driving record of the person convicted. Once restored, your license will be considered a probationary license. The new license will show your license number in red, which denotes a probationary license. If you are pulled over, the officer will report this as a temporary license at the time of a driver license record check. If stopped by a police officer and found to be operating a motor vehicle with a .03% BAC or higher, your license will be administratively revoked by DMV for 90-180 days, in addition to any court imposed sanctions. The probationary license is in effect for three years from the date of restoration. Probable Cause: has to be a reason to stop you; you have to do something wrong, like break a law (light out, weaving, excess speed; also includes sobriety check points). Presence of alcohol: odor of alcoholic beverage, empties, glassy/bloodshot eyes. This gives the police "reasonable cause" to give you field sobriety tests to further prove the presence of alcohol. Identification: to prove that you are you--driver's license, registration. Police will check to be sure that the picture and information on the license match the person they have pulled over. Public Way: police will take note of the road(s) on which you were traveling and that they are public ways--will report you as "traveling north on Route 3." Impairment: any test or tests, of the arresting officer's choice, to prove your impairment level. These include field sobriety tests, intoximeter (breath) tests, blood tests and/or urine tests.